As you probably know, I am quite new to all this blogging malarkey. So when Jac from Tinned Tomatoes asked if I wanted to go the first Scottish Food Bloggers Conference, I immediately agreed. 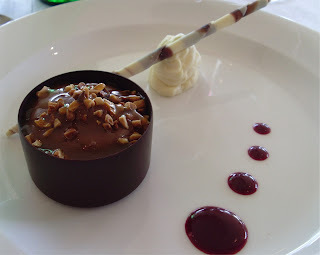 An excellent way to get hints and tips on blogging, great to network with other bloggers and great food I thought. Jac and I travelled down to Ayr on the Friday and arrived at the venue, Ayr Racecourse the next morning. We met up with Janice from Farmersgirl Kitchen and Lou from Please Do Not Feed The Animals and other fellow bloggers, before being taken to the Princess Royal Suite, which overlooked the fantastic course. The first part of the day was a talk from Justin Galea, the Melbourne born executive chef of Turnberry Resort, Scotland. He was a fascinating speaker and his story of how he’d left school at the age of 15 and followed his passion for cooking was inspiring. 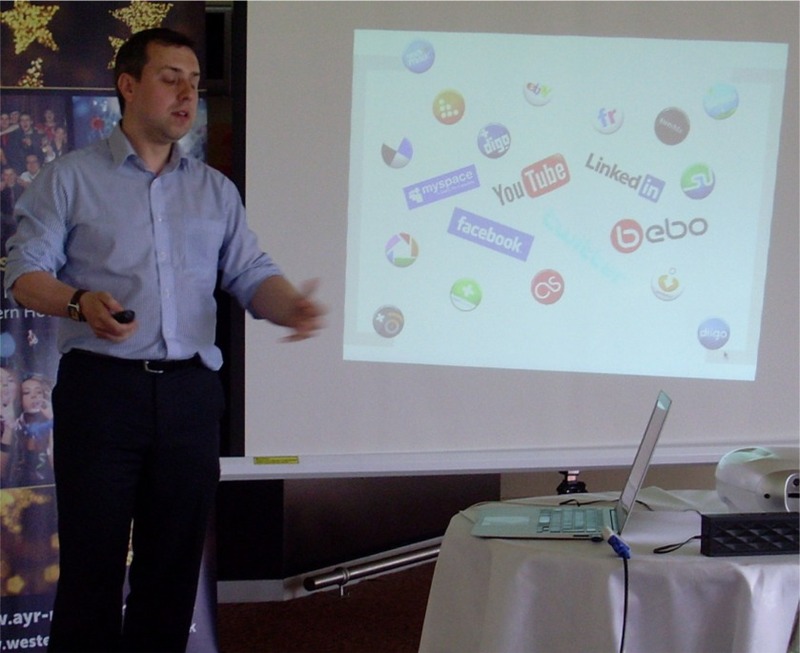 The second speaker at the conference was Colin Kelly – a specialist in social media. He talked about the use of social media to promote your blog and certainly gave me ideas and tips on how to best use it. Cakeyboi’s Facebook page is looking rather tired and neglected and is an area that I aim to improve over the coming wee while. Colin’s talk certainly opened up eyes about reaching a wider audience and left me thinking that I am perhaps a bit of a dinosaur when it comes to technology (who knew some University’s don’t issue students with e-mail accounts and just rely on Facebook and Twitter?!). Before we stopped for lunch Donald McInnes, the racecourses executive chef, talked to us a little about his experiences of catering for thousands of people and his use of the local produce available to him. Now, this may be the only time you will see savoury food on Cakeyboi, but the meal Donald and his staff cooked was phenomenal and deserves to be shown to make you all drool. After lunch, I really could have done with a nap, but persevere I did. 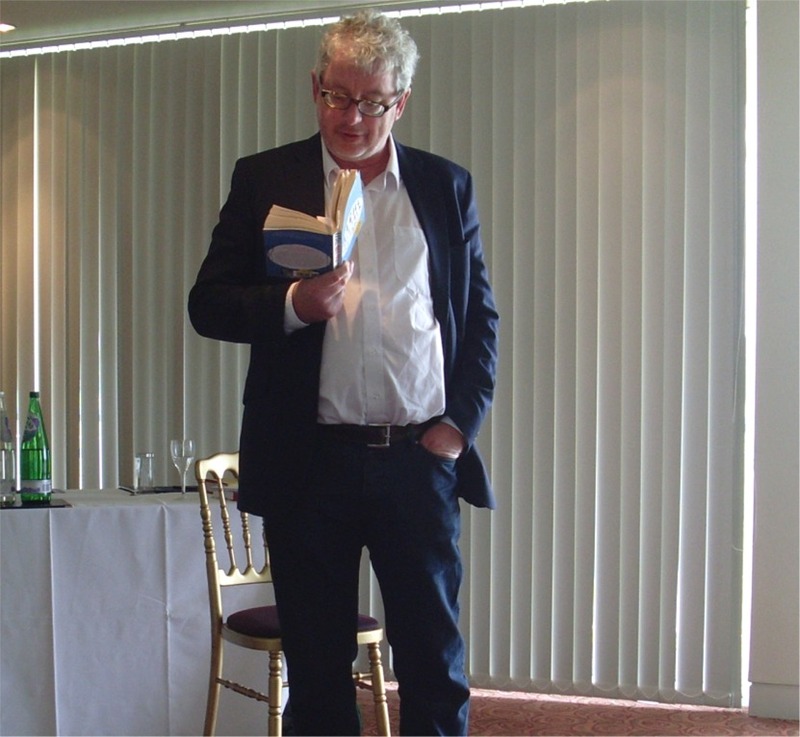 The first speaker of the afternoon was John Cooke, a writer and journalist who gave us an insight into food writing and tips such as imagine as if you are writing to one person, avoid clichés and be concise. Not sure if I manage any of these but hey ho! 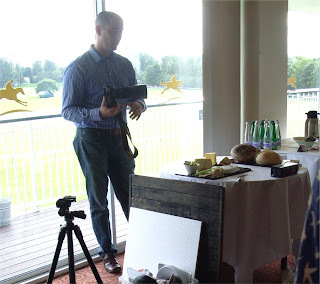 Last input of the day was from Darren McKean, a food photographer. Darren showed us some of his work, which put Cakeyboi’s photos to shame and then dispensed his advice on taking the best shots possible. The up shot for me, I thought, was get a better camera! Seriously though, Darren said any camera could work magic just as long as it is used correctly. The day finished and the bloggers were getting weary. So we hopped on the train home, having enjoyed a fascinating and useful day. I have just given a brief idea of what the day was about, but please visit TinnedTomatoes, Please Don’t Feed the Animals and Farmersgirl Kitchen for different and more in depth views of the day (and better photographs)! Nice post, it's hard to believe it was only last week! Thanks Janice - it seems like ages ago now! It is a wonderful opportunity to get together with other food bloggers to get inspiration and know how- Awesome. Thanks for taking us along with you. It was such a good day. I really hope there will be another next year. Me too! I think you would make an excellent speaker at it Jac - you have a lot of experience! Ha ha - we have all rather taken the same photos. I guess it proves we were all together. Yes, it does seem ages ago now. Hehe, we were certainly there - great to meet you Louise!